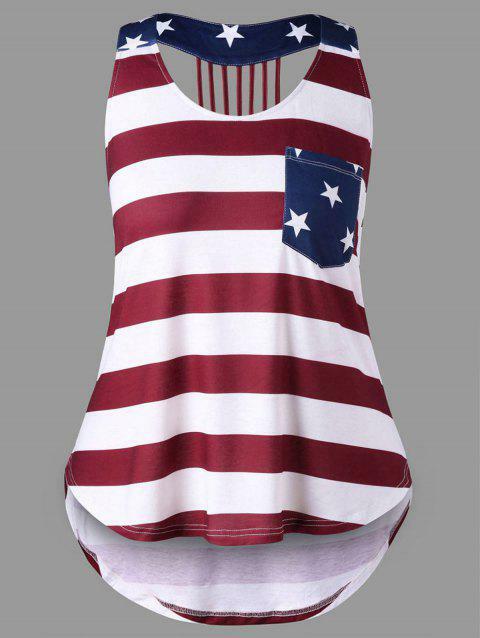 This open back tank top features patriotic American Flag print and curved high low hemline. Strappy back and contrast patch pocket on the bust for added appeal. Easy to match jeans or shorts. Not only for the Independence Day but also for the Remembrance Day. Q:Is any of these products run small, coming from China I normally can wear a xl but not sure. We sell china made products that we ship worldwide. We provide a detailed size for each product.